When it’s time to buy hay for your horse/s, it’s always advisable to submit a hay analysis to forage nutritive value. However, in some scenarios, horse owners have to buy hay before submitting the sample. 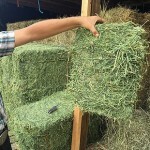 Here are some of the characteristics that you should use to evaluate the horse hay physically. Forage quality is greatly affected by hay maturity. As forage plants become more mature, they become more in fiber and less in crude protein. Maturity is indicated by seed heads for grasses and flowers for legumes. In both the cases, maturity is indicated by thick stems too. More mature hay is more suitable to horses with less caloric requirements including overweight horses or adult horses at maintenance. 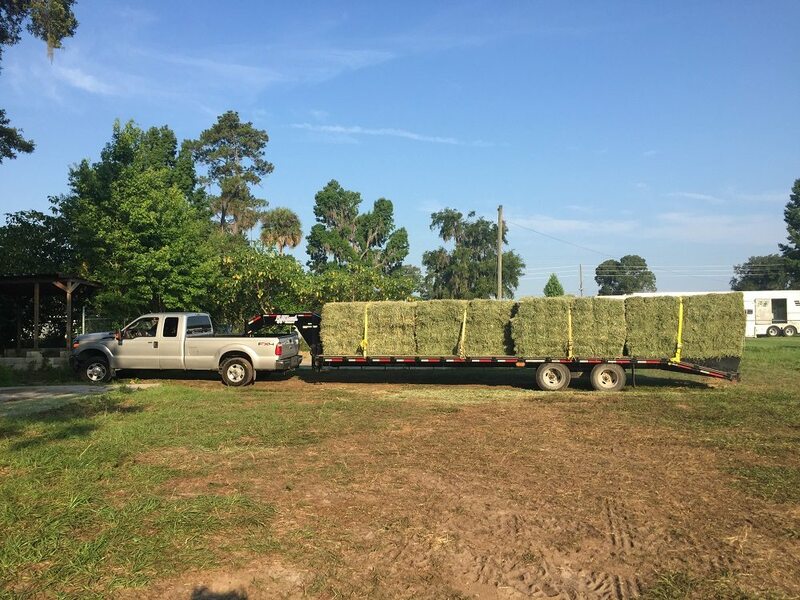 Look for high quality hay for sale in Ocala. The percentage of legumes (e.g. clover or alfalfa) and grass (e.g. bromegrass, orchardgrass) in the hay is known as hay content. When baled at a similar maturity, legumes have greater proportions of digestible energy, calcium and crude protein, and lower proportions of carbohydrates in comparison to grasses. For majority of horses, pure alfalfa hay offers more crude protein and digestible energy than needed. Though excess amount of crude protein won’t affect the health of the horse, it may heighten water requirements and will cause more urination. Excess digestible energy can cause weight gain, which can lead to laminitis, poor reproduction, metabolic syndrome and problems in thermal regulation. Hence pure alfalfa hay is perfect for horses with higher caloric requirements including broodmares and performance horses. Mouth, tongue and lips of horses are very sensitive. Hence they will consume softer hay readily and less waste will be left in comparison to more coarse hay. If you feel the hay rough or coarse against your skin, the horse may consume it slowly and less efficiently. You should not feed hay having foxtail seed heads, thistles, burs and other coarse or sharp plant material to your horse. A sweet smell of hay is attractive to people as well as horses and indicates forage quality. Just like the softness of hay, a sweet smell is an attraction for the horse to eat the hay fast. Never buy hay that appears and smells moldy. Mold is dangerous if inhaled by the horse and is potentially toxic and can upset horse’s digestive system. 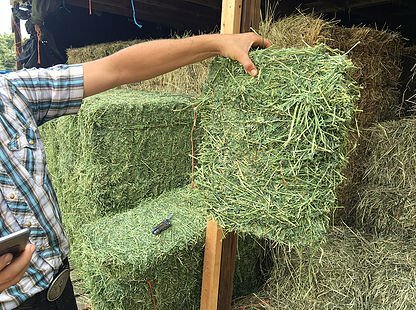 Before buying the hay, make sure that you check the inside of at least one bale. If the hay has been stored for more than 14 days and is not moldy, the risk of becoming moldy is quite low. Using propionic acid for preventing molding of hay at the time of baling is safe for horses. Green color of hay is extremely appealing and is an indicator of good quality; however, you should not make a decision only based on color. Bleached color shows exposure to sunlight or rain and is likely undergone oxidation of vitamins. Horses primarily on a hay diet must always be fed a ration balancer (a mix of vitamins and minerals) and several weeds are also green when baled. Bleached hay may have lower proportions of nonstructural carbohydrates. There is almost no impact of hay cutting (1st, 2nd, 3rd and so on) on forage quality. So, remember that cutting doesn’t dictate forage quality. Actual foundation of quality is maturity. Don’t forget that 60% of the yearly yield is harvested in first cutting. It’s advisable for horse owners to buy some hay from every cutting to spread the risk of climate-related problems (e.g. drought and rain). 3rd Day Hay is not an ordinary hay store. They farm themselves and know how to produce high quality hay for horses. They supply hay to several far-off regions and strive to cater the needs of each of their customers. Images here are their courtesy. Visit their site to know more.